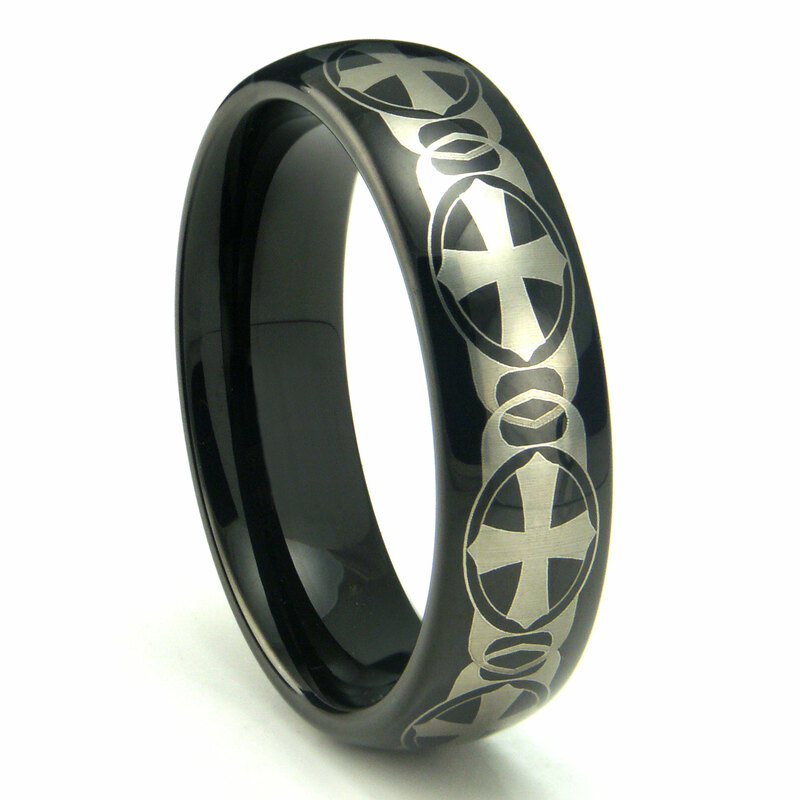 Made of black tungsten with nickel binder, then the surface of the wedding band is laser engraved with Celtic crosses. The crosses are surrounded by oval shaped resembling shields. The design goes around the entire ring in a seamless fashion. Made in 7MM in width and comfort fit design, this band is the perfect men's wedding band for those with a Gaelic side. I bought this for my husband. He loves It! Love the ring; however, it was a size too big even though my now husband measured an 11 and I had called you to see if sizes ran true. The day we received the ring, just days before our wedding and realized it was too big, I called your company and they immediately sent me a size 10, allowed me to keep the size 11 just in case, and when I received the new ring (perfect fit! ), I just put the other one in a prepaid box you gave me and returned it. Your customer service was absolutely the way it should be everywhere. I couldn't have been happier or less stressed out. Thank you very much! I was so excited to see how beautiful the ring was. I was Skeptical of how nice it would be because the price was so good! What a great value!